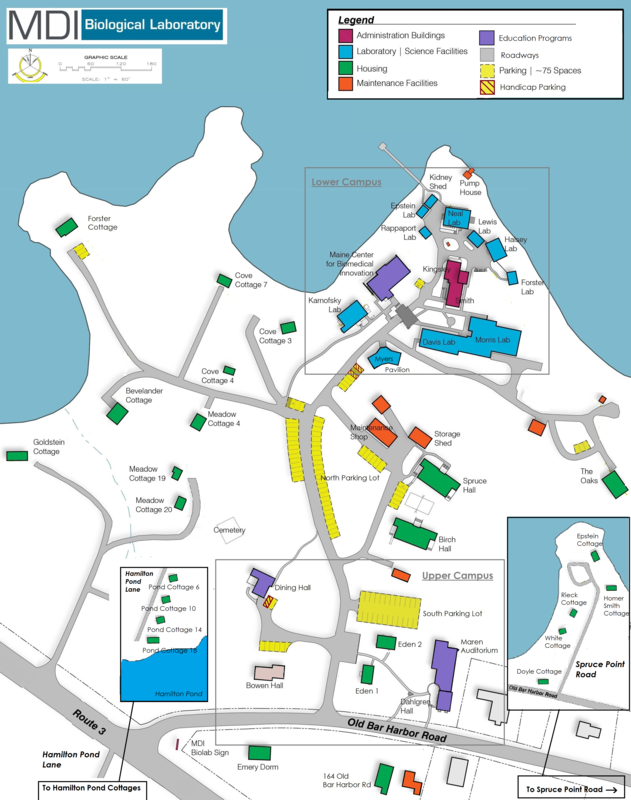 Cottages, efficiency apartments, and dormitories are available for rent by scientists and students visiting the MDI Biological Laboratory for research activities, educational programs, and conferences. Rental rates are listed in the fee schedule. For more information, contact the Education Office. Most cottages are rustic, open-stud structures built on beautiful sites for summer practicality. They include gas fireplaces, electric or gas ranges, refrigerators, toaster ovens or microwaves, cookware, dishes, sofas, beds, and bathrooms. Cottages do not include air conditioning, insulation, or laundry facilities.